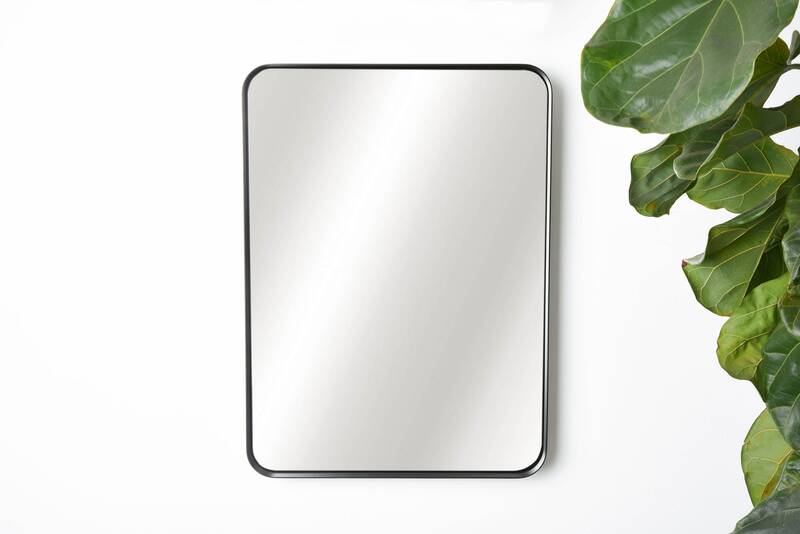 This is the beautiful mirror we use in our photos. 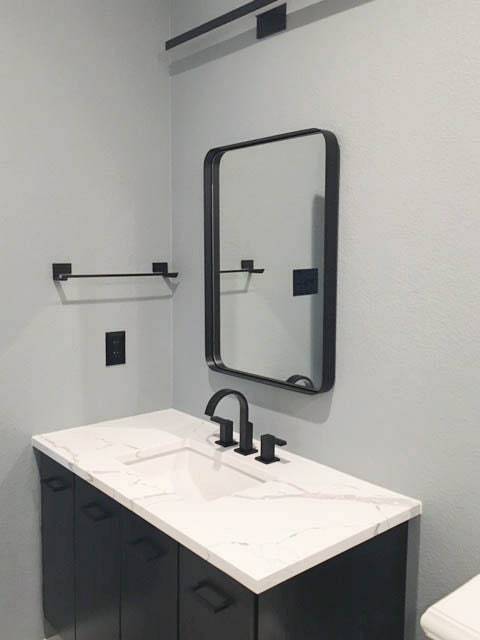 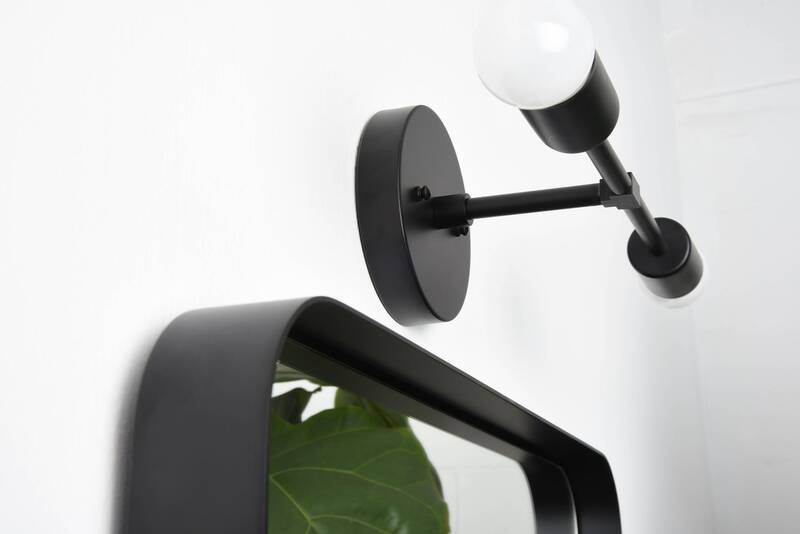 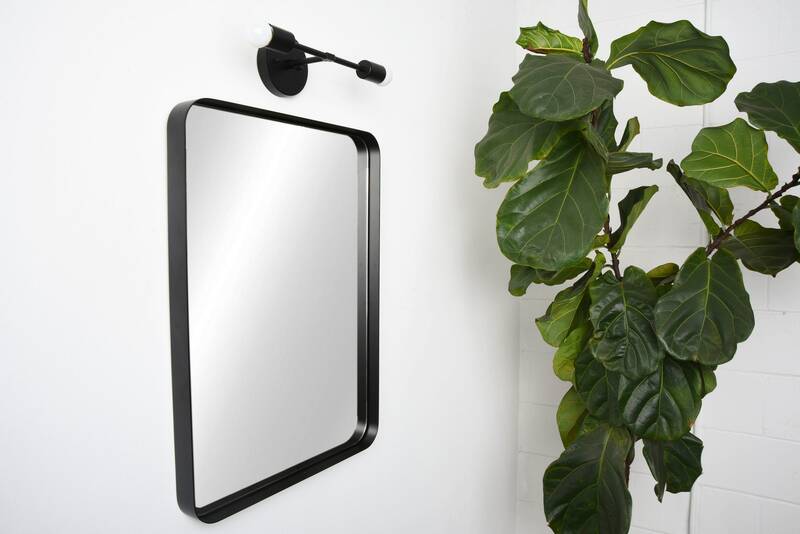 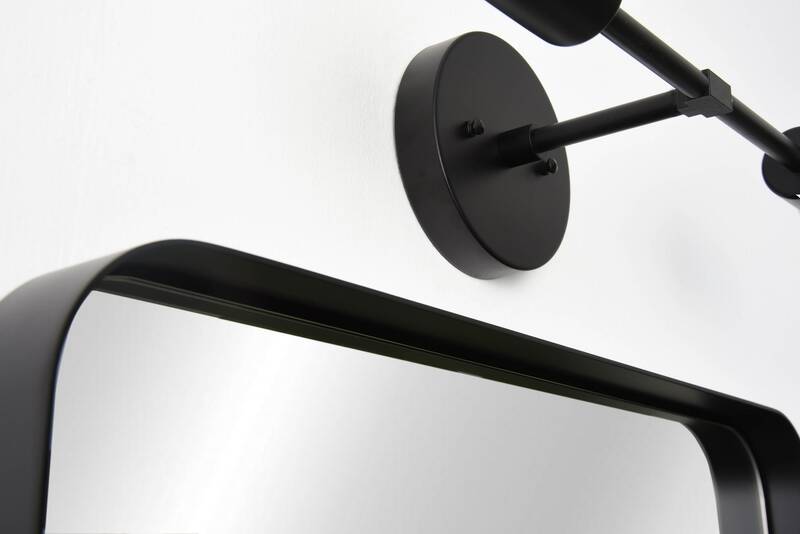 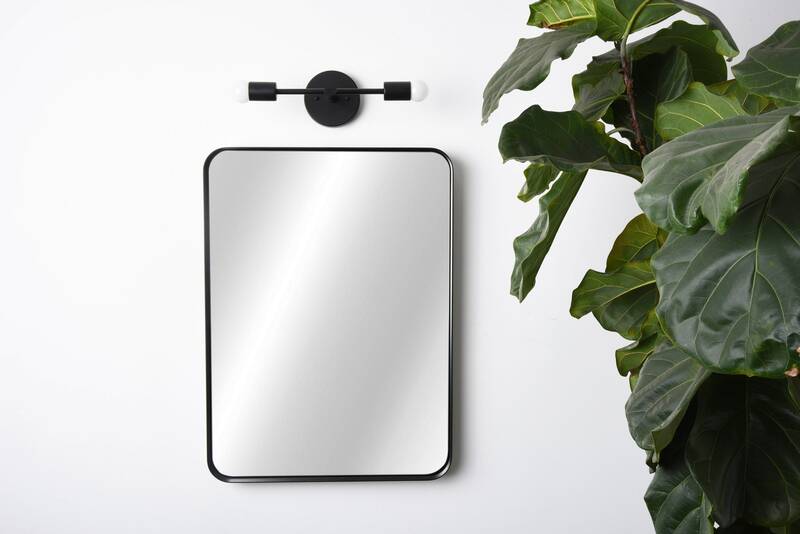 We have our manufacturing partner in China build the mirror, then we powder coat it here in our shop in Houston so that it matches our fixtures perfectly. 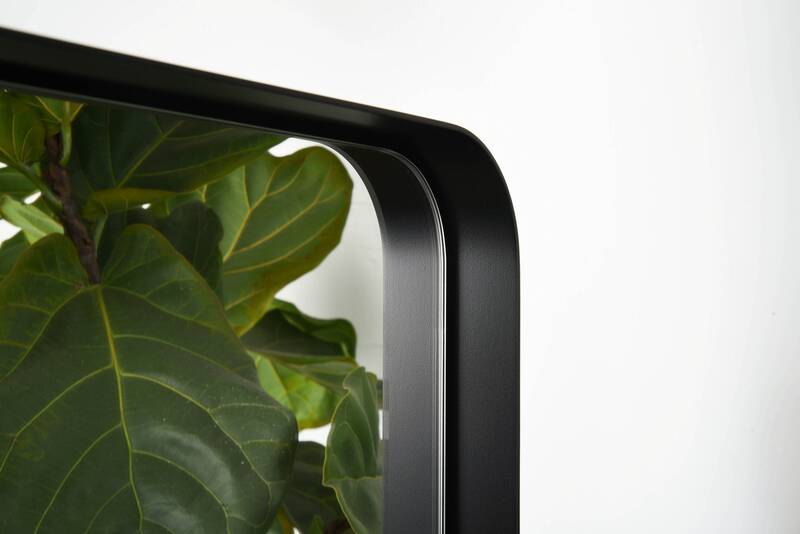 The quality is excellent and we guarantee it for life. 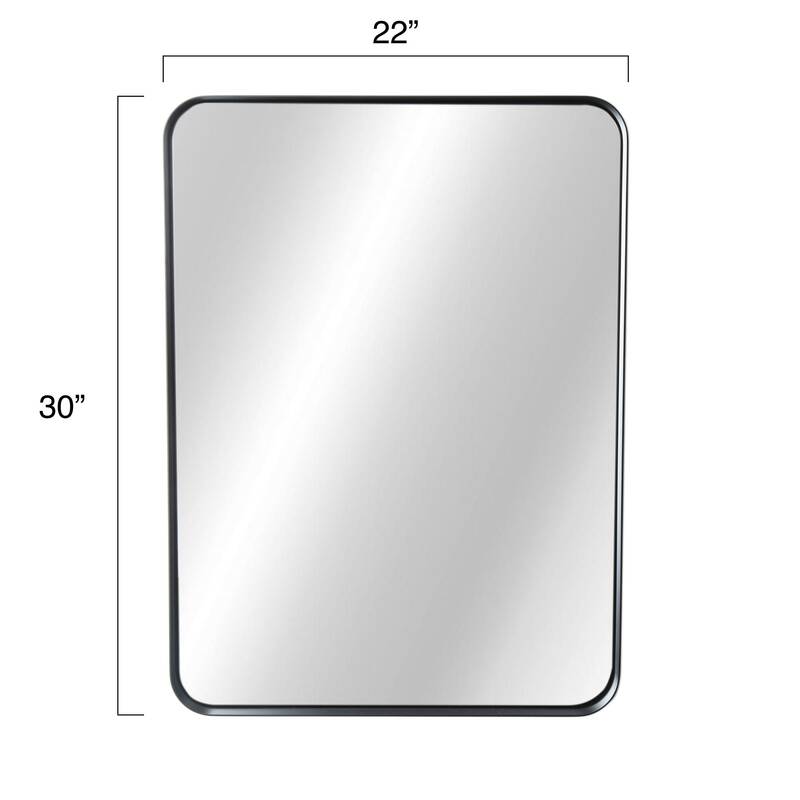 Mirror sits 1-1/4 inch inside frame.